In 1928, French composer Maurice Ravel made a very successful, four-month long tour of the US and Canada, during which he presented 25 concerts and many informal soirées. Ravel was a great admirer of the new world and he embraced modernity with all of his imagination. Jazz was thrilling to him, and Ravel was not shy about his preference for the American musical over the more grandiose offerings of the Paris Opera. And so it was, upon hearing George Gershwin’s Funny Face in New York, that Ravel sought out the American master’s company for what would be a pivotal exchange of ideas. 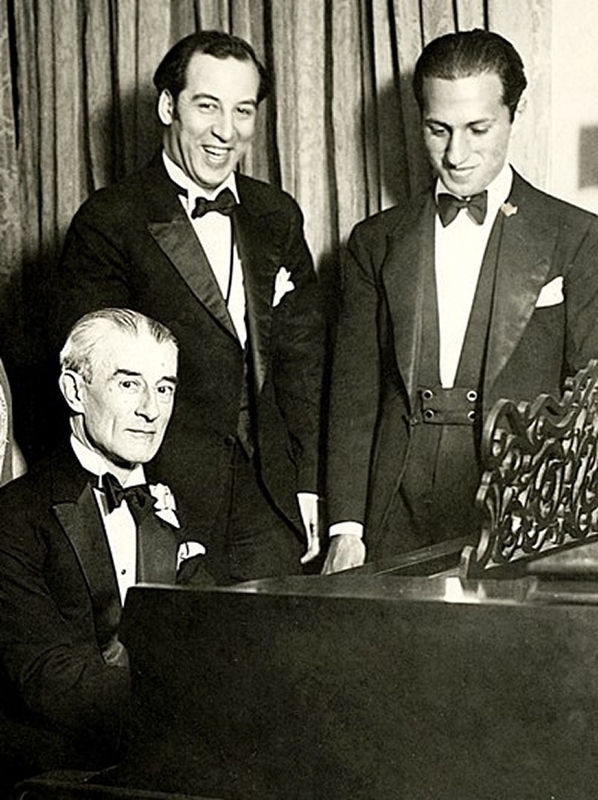 Gershwin hosted his French guest on the town to hear the hottest jazz Harlem had to offer, and Ravel absorbed even more during his tour stop in New Orleans. That meeting of musical minds is vividly evident in the NACO’s upcoming offering of three Ravel masterworks. Imagine a canvas with nothing but a pencil sketch. The form of the scene is evident to the viewer, but there is still something missing. We know it as colour. The composer calls it orchestration, and Ravel was the master colourist. Ma mère l’Oye (Mother Goose) illuminates the jazz rhythms of Ravel’s original two-piano version into a dazzling, kaleidoscopic rendition of these beloved nursery rhymes. Calgary-born Jan Lisiecki, a perennial favourite of Ottawa audiences, joins the NACO to perform the Piano Concerto in G in which Ravel’s jazz encounters are again heard. Sassy entertainment in which one can feel the swirling dynamism of Paris traffic snapped into gear with, quite literally, the crack of a whip! For Lisiecki, I wondered if this is a repertoire of departure for him. "My recordings so far feature a variety of composers, not only German. Ravel is a composer I truly love and I consider him part of my core repertoire. His Gaspard de la Nuit is part of my recital programme for this year, which has been met with great acclaim by both critics and audiences. I try to avoid stereotyping artists or composers on grounds of their nationality, as I strongly believe all music is international." Lisiecki has a long history with the NAC. When asked if there was any possibility of a recording project with the orchestra he responds, "I am always on the lookout for new opportunities and collaborations that inspire me. I have always enjoyed working with the National Arts Centre Orchestra and Alexander Shelley, and I certainly hope that our work will continue well into the future." The late Québecois composer Claude Vivier too was a sonic explorer who looked to other musical cultures to expand his sound palette. In Lonely Child, Canadian soprano Erin Wall expresses Vivier’s own heart-rending words about the loss of childhood innocence that comes with the uncertainty of adulthood. Finally, Ravel’s Boléro insinuates itself upon the audience, its aural canvas growing ever larger to its final monstrous dimension, all propelled forward by that unassuming yet beyond-famous rhythm. Brace yourselves! Concert takes place in Southam Hall, April 17th and 18th starting at 20h00. There’ll be a pre-concert talk featuring Alexander Shelley and Jan Lisiecki on the 17th at 19h00. The City Series is an opportunity to spend the noon hour hearing outstanding musical talent perform a wide variety of lively repertoire. Win Mom the Gift of 2,000 Luxury Experiences From WaySpa!